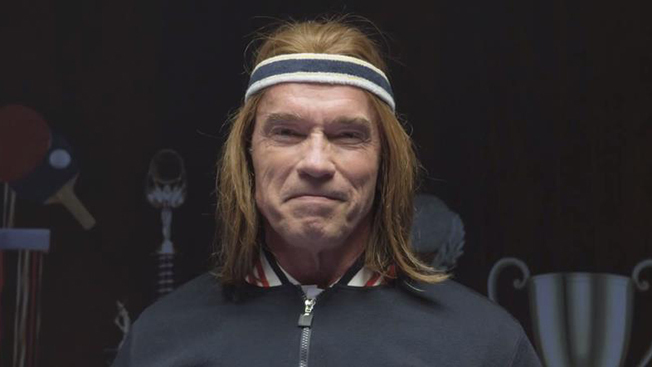 Just a day after we learned that Arnold Schwarzenegger would appear in one of Bud Light's Super Bowl ads, Anheuser-Busch InBev has released six teaser clips for the celebrity-stacked spots. The ads appear to be the results of a massive stunt organized by the brand and agency BBDO, which used 412 actors and a lot of hidden cameras to create an unforgettable night for one unsuspecting beer drinker. Schwarzenegger, Don Cheadle and innovative musician Reggie Watts all make appearances in the evening's events, as does an as-yet-unnamed female celebrity. Oh, and a llama. Check out the previews below, and be sure to check Adweek's Super Bowl Ad Tracker for ongoing updates about this year's game-day spots.